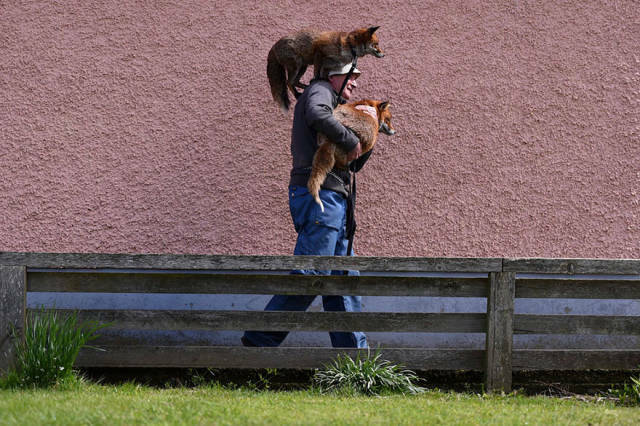 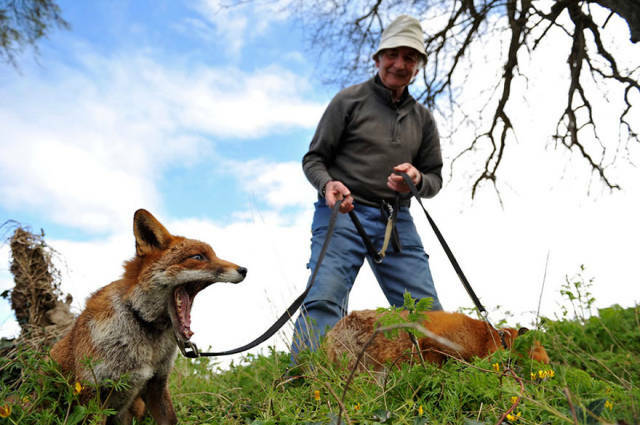 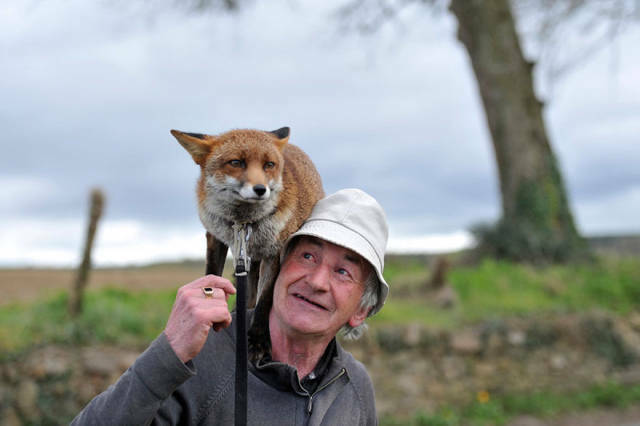 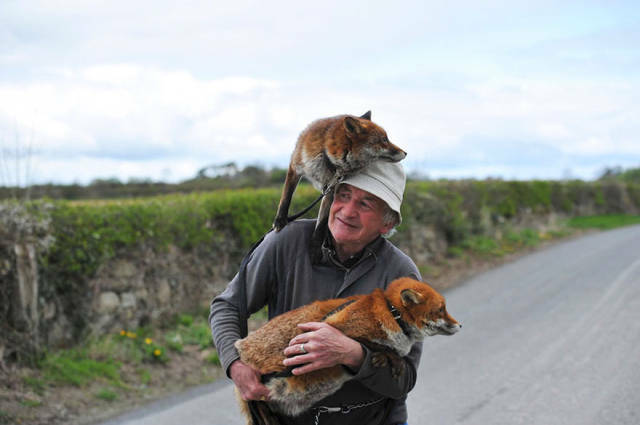 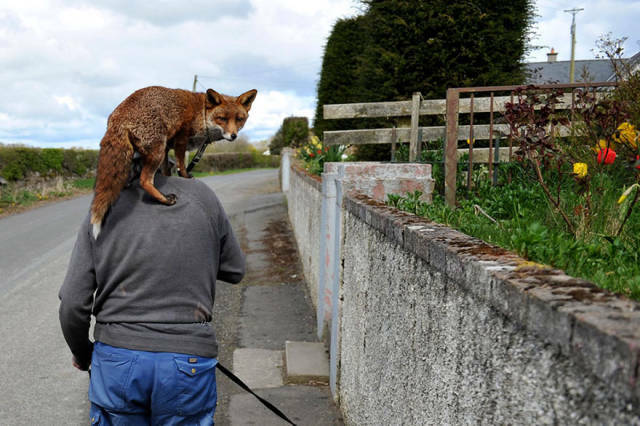 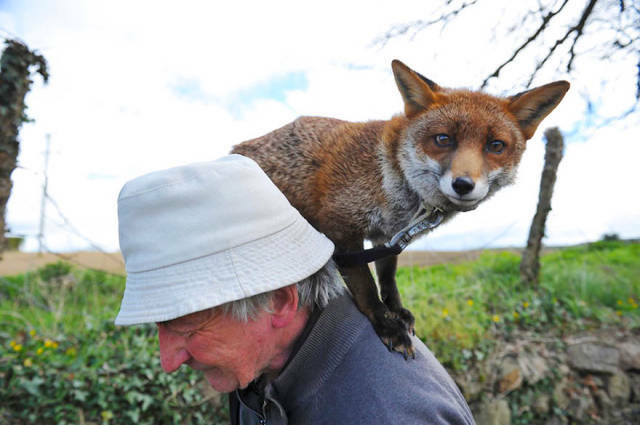 Patsy Gibbons from County Kilkenny, Ireland found two abandoned fox pups and nursed them back to health. 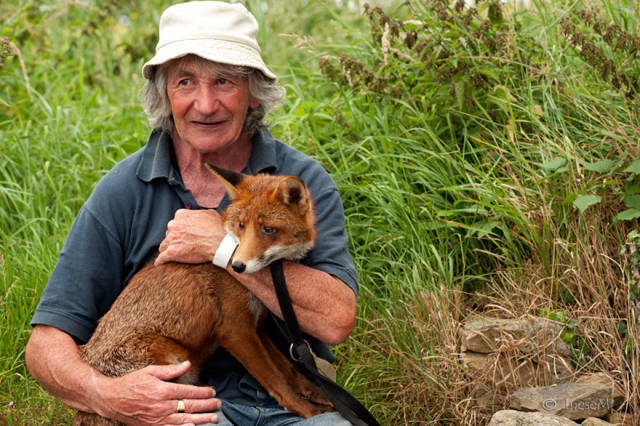 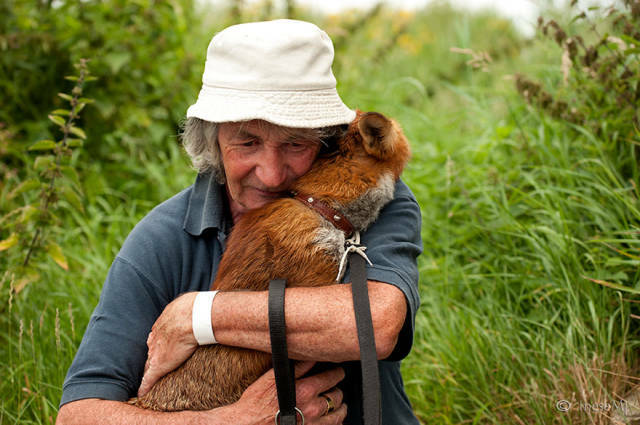 However, after they made a full recovery they decided to adopt their rescuer and wouldn’t leave his side anymore. 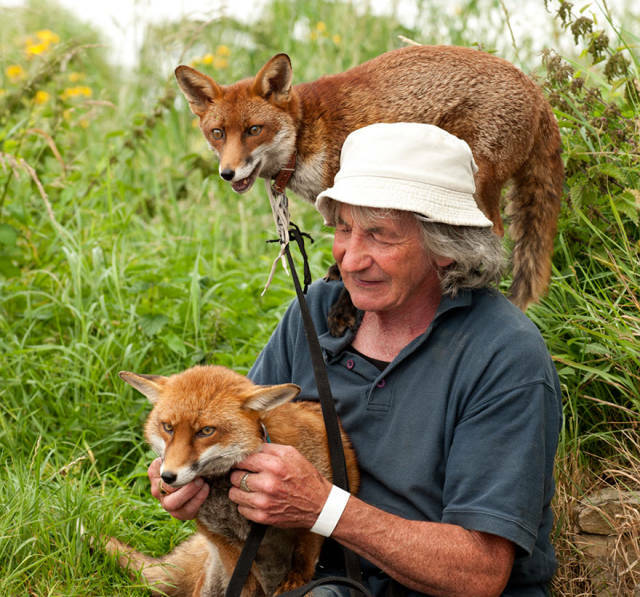 Patsy named them Grainne and Minnie and they are very popular among local children.